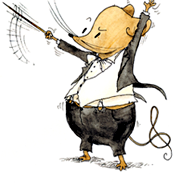 Icelandic Symphony Orchestra and she recalled just waking up one morning with the idea to use a Little Mouse character to get Children engaged in Classical Music. She shared with us her adventures and development of her business. Two books with music examples have been published and the third is on the way. She is on her way with the Iceland Symphony Orchestra to perform her Maximus Musikus at Kennedy Center in 2013 at the Nordic Cool festival! It is fascinating to think about the teachings and learnings that goes on in an Orchestra and most children don’t really know what happens behind the scene until they are taken to a show. Hallfridur, has through her books, symphony composition, songs, apps and other media has connected with Children and during the first symphony orchestra that was conducted in Iceland, there were more than 600 children in the audience and they already knew about the Maximus and they followed through the entire narrative, the music and the experience of being in an Orchestra concert. 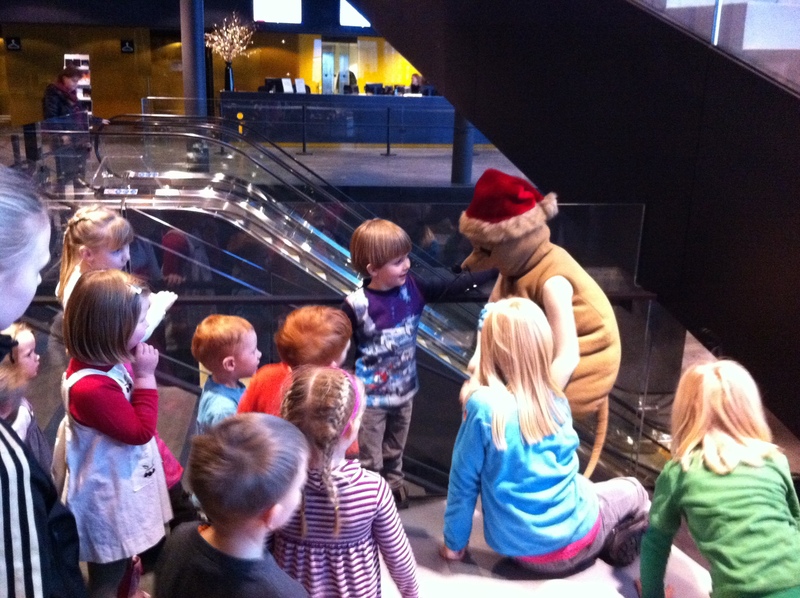 It was great to hear Hallfridur talk about how the energy of the children invigorated the musicians and the performers. There were a number of questions, and the most popular one is how did you find the time to keep your day job and also produce the music score, the books, the stories, the art works, the website etc etc etc and Hallfridur’s answer was very simple, She just knew she had the energy to do this because she was so passionate about the project… sounds familiar! The common trait of every entrepreneur, there is something that we cannot explain that drives us, it is not riches, it is not money it is something far more important… a sense of Purpose. It was inspiring to hear Hallfridur’s journey, but what was even more interesting to me was her success has be curtailed by Content Brokers i.e Book Publishers, for example the English version of the books are not available in Iceland but only available in Australia although it would probably sell the most in Iceland because of all the tourists who come to Iceland would like to take something as a local gift to their children, grandchildren or nieces and nephews. All the tourists visit Harpa where there is a Maximus Musicus Corner, but the tourists probably will not buy an icelandic version because they don’t speak Icelandic. She was passionate about the creation but did not have a very good advisor against the group that relies on “Scarcity as a Business Model“, Fred Wilson has written about it. I just don’t get it! why the heck can’t the book publishers understand that their customers should dictate how they want to consume the books rather than them dictating how they will allow the content to be consumed? Such a waste, I bet Hallfridur is probably loosing a large amount of sales that she could possibly do in Iceland during the peak tourist season. I can think of so many ways to market and sell this great product. They have games and apps in the app store etc. So go check it out!